Today we have an interview with the main character from Wild Within, Grace. We’re so glad to have her here to answer a few questions. Glad for a chance to interview you, Grace. We hear it more and more…”the PCT.” What the heck is it and why should anyone care? Ha! I’m with you on that, at least I was just a few years ago. I didn’t hike, and had no idea I was going to start an adventure that would change my life. 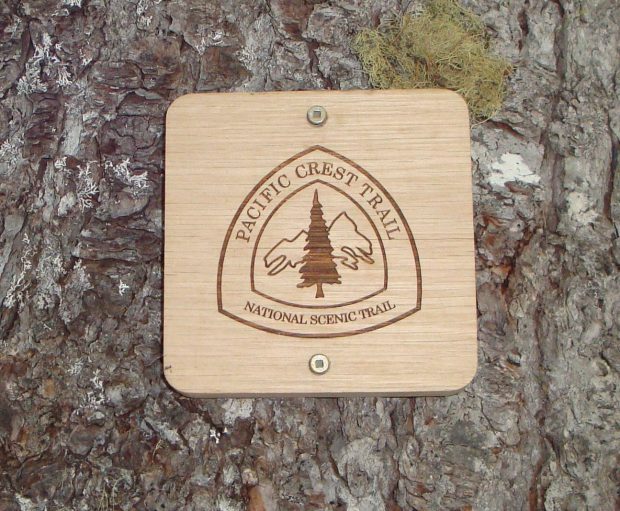 PCT stands for “Pacific Crest Trail.” It’s a hiking trail that stretches from the border of Mexico for 2,600 miles through California, Oregon, and Washington. 2,600 miles? You you mean driving trail, right? coming more and more popular. I did it before Cheryl Strayed’s best-selling book and the movie about her hike on the trail came out. The trail wasn’t so packed yet when I did it. But because of that book and the movie, the word’s out. Now they’ve started to set daily limits on the number of people who can start the trail during the popular season. What made you able to do it? I think my determination sets me apart. It may not look like it on the surface, but I have inner reserves of strength that sometimes I don’t even know are there. Actually, now that I say that, I think that’s like a lot of women. We’re often stronger then we appear. It just takes the right circumstances to test us and bring it out. I think that’s why there are more and more women hiking the PCT these days. It’s an adventure that brings out the best in us. Were you alone, or were you hiking with friends? Before I hiked the Pacific Crest Trail, I hated being alone too much. But all that time out in the wilderness taught me I can be pretty good company to myself. It also taught me that being alone’s sometimes better than being with the wrong person. There was this guy I met out there who called himself Choir Master. He meant well, but he wouldn’t stop singing. I’m talking non-stop Go Tell It On The Mountain, 99 Bottles, Sweet Caroline… It got old really fast! Taught me about the beauty of silence. I guess I like being around people who take the time to get to know me. Doesn’t everybody? Lone Star was like that. I feel like I told him my life story the first day we met. Okay, so now I have to ask. Who is Lone Star? If I tell you that, I’ll spoil the story of Wild Within. But let’s just say, it’s not what I expected! So tell me about another good friend. Well, I have to say Celine turned out to be one of the best friends a person could imagine. She was my brother’s girlfriend. She’s the kind of person who acts like the strong person I want to be. She’s always ready with a joke, but inside she has a heart of gold. What was it really like hiking the Pacific Crest Trail? I spend most of Wild Within hiking the PCT. And because I didn’t want to get freaked out by learning ahead of time about how hard it was, I basically didn’t prepare enough. I made a lot of mistakes: I over-packed, didn’t bring enough water, got massive blisters. Oh, and at one point my tent blew away…in an ice storm. Sweet. They have a saying on the trail, “The perfect place is the place I am right now.” It’s really not a question of what the trail is like, but what it’s like inside yourself. Let me tell you, getting to my “happy place” wasn’t always easy! Last question: If you found out today you won a million dollars, what would you do? Hmm… I guess before my family and friends could hit me with their wish lists, I think I’d drag them out to the woods, so we could be together away from hectic city life and concentrate instead on what’s really important in this world: spending time with the people you love.